Permanent Account Number (PAN) is unique alphanumeric combination issued to all juristic entities identifiable under the Indian Income Tax Act 1961. Here it describes the benefits of having a Permanent Account Number (PAN), Things to do when you lose a PAN card or when you have 2 PANs. PAN is issued by the Indian Income Tax Department under the supervision of the Central Board for Direct Taxes (CBDT) and is almost equivalent to a national identification number. It also serves as an important ID proof. PAN structure is as follows: AAAAA9999A: First five characters are letters, next 4 numerals, last character letter. These 10 characters can be divided in five parts as can be seen below. The meaning of each number has been explained further. Each assesse is uniquely identified by the PAN. If the PAN does not follow the above structure, then the PAN will be shown invalid. g) purchasing of gold etc..
A PAN card is a valuable means of photo identification accepted by all government and non-government institutions in the country. If you still remember the PAN number you can continue to transact with the Income Tax department. However, in respect of other agencies you may encounter constraints without a PAN card since it doubles as a photo identity card. 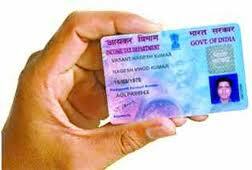 0 Response to "Benefits of Permanent Account Number(PAN)"